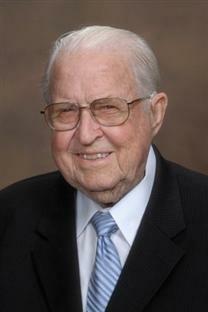 Dr. Arthur E. Steele, founder and first president of Clearwater Christian College, preacher of the Gospel and an educational leader in the local community, went to be with his Lord on March 2, 2011. "There are times when the reputation of a person exceeds the reality of that person's actual character," said Dr. Richard Stratton, president of Clearwater Christian College. "This is not true of Dr. Arthur Steele. In many respects the reality of the man was even more. [Dr. Steele had] an underlying passion for God, a passion for the lost, a passion for his sweet bride Dolores, and a passion for Clearwater Christian College." Born June 17, 1920, in McKeesport, Pennsylvania, Steele graduated with a degree in Chemical Engineering from Carnegie Tech, now known as Carnegie Mellon University, in 1942. Having been a member of the ROTC in college, he was commissioned as an officer upon graduation and served his country in the Corps of Engineers Research and Development Board during World War II as the Supervisor of the Gas Generating School at Fort Belvoir, Virginia. His orders were to develop mobile oxygen-producing generators and to the organize cadres that would enter the military field and determine the tools, supplies, and parts to ship out with each operating group. After the war and his honorable discharge from the Corps of Engineers, Steele worked as a chemical engineer for Air Reduction Company, the suppliers of military mobile acetylene plants, but was soon led to Air Products in Allentown, Pennsylvania. One of his early projects was to help design the layout of an acetylene plant in Iselin, New Jersey, and then to supervise the building of the plant, as well as the hiring and training of the operators. It was during his employment at Air Products that Dr. Steele began to find inventive ways to serve the Lord through his daily duties. The Lord began to draw his heart closer to the ministry. In 1956, Steele started his official ministerial pursuits when he began studies at Faith Theological Seminary, while still maintaining part-time employment at Air Products. Upon receiving his M.Div. and D.D. degrees in 1959, he was asked to serve as the vice president and treasurer of the seminary. In 1962, the Lord led him to accept the position of president of Shelton College in Ringwood, New Jersey. He served in this capacity until 1965. Feeling God's call to build a new college founded upon Biblical principles, Steele and several members of the Shelton College faculty established an official Organizing Committee for a new Christian college. After much prayer and countless hours researching possible locations and educational regulations, Clearwater Christian College was founded on September 17, 1966. Steele faithfully served as president until January 1, 1987. Following his retirement from the role of president of CCC, Steele was invited to be part of the teaching staff at Far Eastern Bible College in Singapore and spent several months abroad during the years of 1988, 1989, 1990, and 2005. Son, David A. Steele and wife Phyllis, and their son (AES grandchild) Samuel, their daughter (AES granddaughter) Tricia and her husband Victor Boutros, and their daughter (AES great-granddaughter) Eva, their son (AES great-grandson) Lawson, and their daughter (AES granddaughter) Cynthia and her husband Jonathan Agee. Son, Jonathan E. Steele and wife Beatrice, and their sons (AES grandchildren) Jonathan Jr, Mark, and Joseph and his wife, Elizabeth. Daughter, Karin and husband Benjamin; their daughter (AES granddaughter) Sarah, and her husband Kevin Taylor, and their children (AES great grandchildren) Andrew, Ashten, and Jackson; their daughter (AES granddaughter) Elisabeth and her husband Neal White; and their daughter (AES granddaughter) Rebecca and her husband Kevin Vick; and their daughter (AES great granddaughter) Eiley. Daughter Deborah (Steele) Adair, her children (AES grandchildren) Celeste and Gerald, and limitless friends and supporters. Dr. Steele was a man of faith, integrity, and character. The board, faculty, and staff of Clearwater Christian College extend our heartfelt condolences to the Steele family and re-commit to keeping the legacy of Dr. Arthur E. Steele at the forefront of this ministry. As he said in his recently updated memoirs, "What a privilege is ours that we have God's Word with us every day, at whatever age and whatever circumstance. 'Therefore, my beloved brethren, be ye steadfast, unmovable, always abounding in the work of the Lord, forasmuch as ye know that your labor is not in vain in the Lord' (I Corinthians 15:58)." To read more about the arrangements that have been made, please view the funeral service information. Alumni and friends who wish to express sentiments publically may do so on the College's Facebook page.